We’ve been working with some various lights from Olight for awhile now and we’ve been impressed with both their construction and function. The H2R Nova is a bit of a departure from what we would normally review here because it isn’t really an EDC (Every Day Carry) light and it isn’t a tactical light. Olight bills it as a “versatile LED illumination tool’ and honestly, I think that describes it fairly accurately. The H2R has turned out to be an excellent multipurpose utility light around the hacienda. As those of you who follow 13C know, we live on working farm with acreage and we’ve got to just about every situation you could imagine for illumination needs. From fields with hundreds of yards of clear view when crops are down to tight utility rooms or a large open loft in the barn. The H2R has a fairly wide beam which makes allows it to easily illuminate large areas. It also has a beam “throw” rated for 153 meters. Unlike most of the other throw ratings from Olight which have seemed conservative in my estimation, the 153 meter throw range on the H2R is on the generous side. At first blush reading the numbers you might wonder why this light with 2,300 lumens is 153 meters but the SR30 Batton III with about half the lumens is 175ish meters. The beam on the SR30 is much tighter vs the wider H2R. To keep this in perspective though 153 meters is nearly 500 feet, a foot field is 120 yards (360 feet) long with end zones. That still a very long way and in some night time situations the humidity in the air can make it hard for any light to be usable at those distances without reflecting enough back at the user. 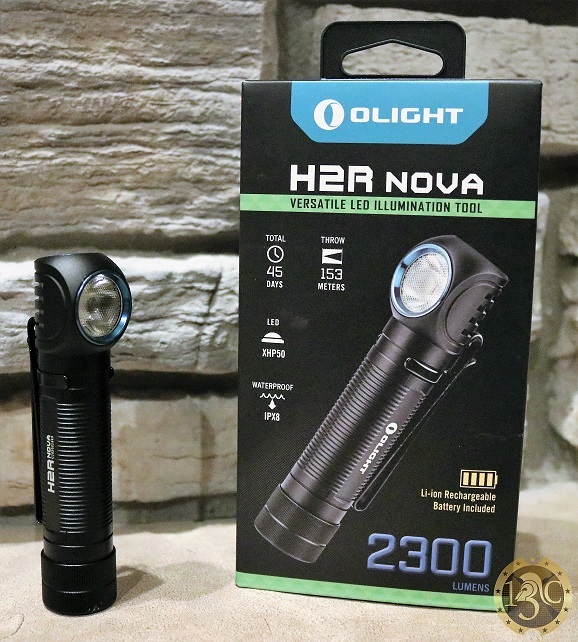 The H2R has 5 different illumination levels from 1 lumen to 2,300 lumens and a SOS mode. It’s also rechargeable and comes with a 18650 battery. 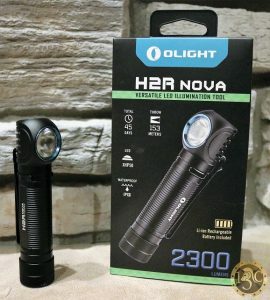 You Can find the Olight H2R Nova HERE and use code “olight10” to take 10% your order. 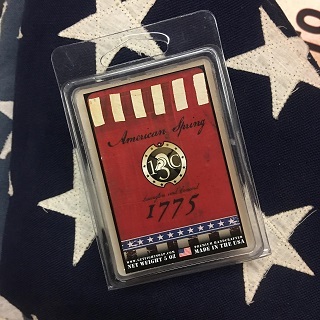 You can find the full review at the 13C YouTube Channel .